In this live webcast presentation we walk you through Lean Analytics—what it is, how it works and some important concepts that can help you as an innovator in a startup or large company. 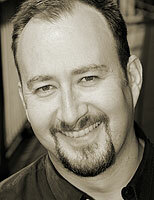 Alistair Croll has been an entrepreneur, author, and public speaker for nearly 20 years. He's worked on a variety of topics, from web performance, to big data, to cloud computing, to startups, in that time. Alistair is the author of three books on web performance, analytics, and IT operations, and is currently working on a forthcoming book about data-driven startups. He lives in Montreal, Canada and tries to mitigate chronic ADD by writing about far too many things at Solve For Interesting.